The Missouri Department of Health and Senior Services has amended its state regulation on disease reporting. Yesterday, the Secretary of State’s office released the Oct. 3 update of the Missouri Register, which includes the changes. The emergency amendment adds Zika and Chikungunya to the current list of reportable diseases, which has not yet been updated. The emergency amendment took effect Sept. 8. Carbapenem-resistant enterobacteriaceae reporting also was added to the list of communicable or infectious diseases under the emergency amendment. State legislation requiring CRE reporting took effect Aug. 28. MHA will work with DHSS on additional details of implementation. The Substance Abuse and Mental Health Services Administration has released requirements for physician medication-assisted treatment reporting for opioid abuse. On July 8, the U.S. Department of Health & Human Services finalized a rule expanding the number of patients that providers are authorized to treat in an office-based setting from 100 to 275 for opioid use disorders. However, the rule called for SAMHSA to develop reporting requirements. This is all a part of HHS’ opioid initiative to improve opioid prescribing practices, expand access to MAT for opioid use disorders and increase the use of naloxone to reverse opioid overdoses. 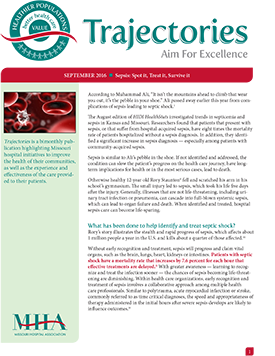 The September 2016 issue of Trajectories discusses how to spot, treat and survive sepsis. The 12 hospitals participating in the sepsis immersion project experienced a 7.6 percent increase in initiating the sepsis bundles throughout the project’s nine-month duration. The triage step included screening patients, and for those meeting the sepsis criteria, ensuring the sepsis bundle was initiated. Results of the three-hour bundle compliance were positive as work continues to address barriers and improve processes of care. Overall, hospitals participating in the immersion project are excelling at initiating the bundle components and completing the preliminary care of a septic patient. 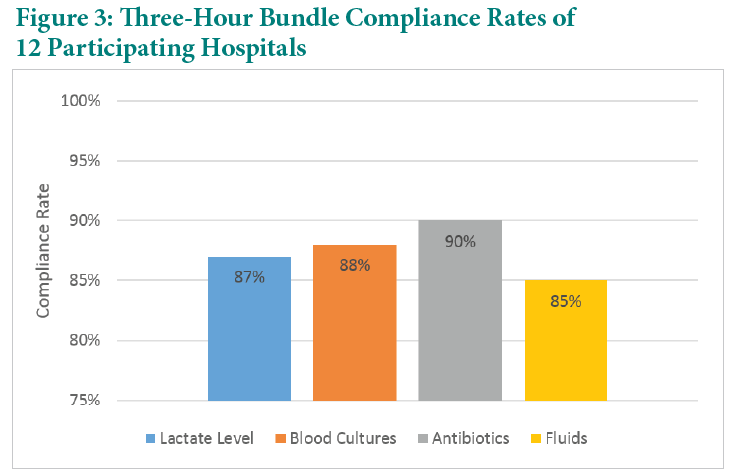 Figure 3 shows compliance rates at or above 85 percent for the four components of the three-hour bundle. Since the project is scoped to the ED, the initial three hours and coinciding bundle components for that timeframe were the focus of the project. The immersion project structure includes quarterly tasks for participants to complete. For the quarterly task completion rate, a survey was completed and calculated to show a completion rate of 80 percent. The second cohort of the sepsis immersion project is set to debut in 2017 and will expand the scope of the project for inpatient units to help identify and treat hospital-acquired sepsis at a more rapid pace. Participating hospitals appreciate the structure and curriculum of the immersion project, as well as the follow-up and conference calls, and ongoing resources built into the project. Today is Women’s Health and Fitness Day. Research suggests that 120 minutes of moderate-intensity aerobic exercise per week increases the size of the hippocampus, the area of the brain responsible for verbal memory and learning.